Management Development Institute is one of the well recognized business schools in world. The institute offers excellent job oriented Management programmes to those students who want to make Business Management as their profession in future. Since its launch, the institute has been on the path of success for the two reasons, first is for a good connection with leading business schools across the world and secondly, by generating some highly qualified trained professionals in today’s management world. Management Development Institute offers numbers of courses that include Doctor level programmes, Advanced Management Programme, Fellow Programme in Management and Executive Fellow Programme in Management. Candidates are required to take Standard Tests like CAT/GMAT/GRE/GATE/UGC-JRF. These scores? are valid for two years, including deadline date for submission of application form for FPM/EFPM programme. Those who are yet to take the said examinations will be considered subject to meeting the minimum score requirements. Only the shortlisted candidates will then be called for interviews during March 2013 at MDI Campus. For full-time two-year PGP alumni from MDI, IIMs & XLRI: standard test scores not required. Applicants would be short listed on the basis of their CAT scores The candidates will be interviewed on Jan 6, 2013 at one of the centres, viz., Bengaluru, Kolkata and Mumbai (centres other than Gurgaon are tentative) and on Jan 12, 2013 in Gurgaon. The college has a beautiful campus with a sprawling area of 37 acres of land. The campus is about 16 Kms away from Indira Gandhi International Airport, New Delhi and 30 Kms, from downtown Connaught Place, New Delhi. The campus is located amidst extensive six whole golf green, trees, lawns and aesthetically planned landscapes. The institute is well equipped with all the modern facilities. 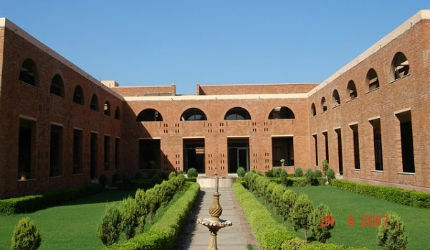 It has well maintained book library, computer lab with high speed internet connectivity. Post Graduate Programme in Management (Human Resource Management). Are you Interested in Management Development Institute (MDI) Gurgaon.